Turkish tanks are pounding Kurdish militant outposts as part of a military campaign to push the group back in the country’s southeast. Observers say it is some of the worst violence in the predominantly Kurdish area since the 1990s. Locals are fleeing for their lives, taking only what they can carry. The head of Turkey’s armed forces says at least 261PKK fighters have been killed in an ongoing operation in Cizre, Sur and Silopi. Three militant fighters have been killed and three more captured in the ongoing operation in Cizre. 179 militants have been killed in the region so far. Five militants have been killed here, according to the official military account. 27 militant fighters have been “eliminated” in the region. One militant has been killed and three barricades have been destroyed, according to military reports. A total of 55PKK fighters have been killed in the operations so far. 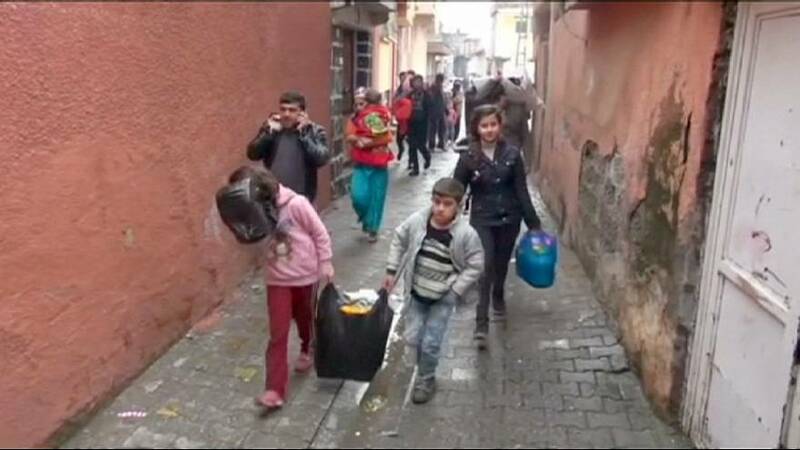 Concerns have been raised about the human rights implications of the military operation in the Cizre region, in particularly the imposition of a curfew. The European Court of Human Rights has given Ankara until the 8th of January to give more details about its reasons for the curfew. #press not allowed in #cizre but hdp mp FaysalSaryldz keeps us posted. check out his series of english tweets of earlier today. chilling.